Dr. Linda Sharkey is a trusted transformational expert, author, speaker, and global leadership development coach. Her most recent book, The Future-Proof Workplace, Six Strategies to Accelerate Talent Development, Reshape Your Culture, and Proceed with Purpose, highlights the changes already taking place around us: the transition from skills to knowledge, the neuroscience approach to leadership and motivation, and galloping technical advances. Command-and-control leadership won’t take businesses into the new global environment and future-proofing your workplace may require a whole system change. On her weekly radio show, Future-Proof Workplace, Dr. Sharkey and co-host Morag Barrett share first hand experiences, latest research and exceptional guest insights to help future-proof careers and companies. Listeners agree that their show is an essential guide to thriving in turbulence and is packed with compelling real-world cases on how to remain competitive in these unprecedented times. Archived shows are available here on iHeartRadio. Through her programs and no-nonsense approach, Dr. Sharkey helps create high-potential leaders and shapes company culture. 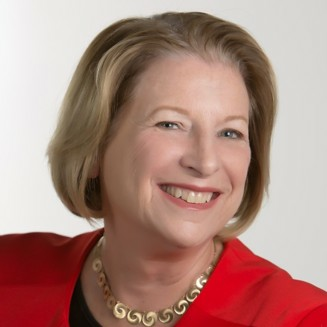 Linda has deep experience working with Fortune 50 companies and held senior human resource executive positions at Hewlett-Packard and at GE Capital. Her co-authored book, Winning with Transglobal Leadership, was named one of the top 30 best business books for 2013. Dr. Sharkey is a recognized expert on the future of workplaces around the globe and has recently been quoted in Inc. Magazine and Fast Company. How to Future-Proof Your Company - Leadership expert Dr Linda Sharkey asks the all-important question: are you ready for tomorrow? Find out more about Linda Sharkey at http://lindasharkey.com/.